It's Canada's 140th Birfday today!!! 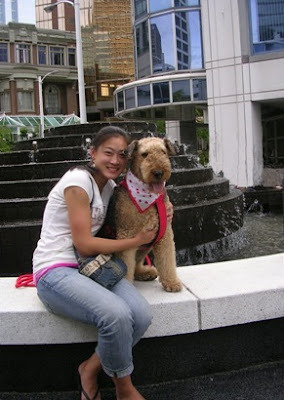 Mum put maple leaf bandannas on me and STINKY and took us to Canada Place, located in downtown Vancouver. People sang Happy Birfday to Canada!! Then we walked around Canada Place, and of course, people just LOVED us. A couple of hooman pups thought we were the Firehouse Dogs! Actually, I should say, a couple of hooman pups thought STINKY was the Firehouse Dog. They asked to pet "him", but because of his land-sharking (mum: Jaffa can still be quite mouthy), mum told them they should pet me instead (I feel soooo USED!!). 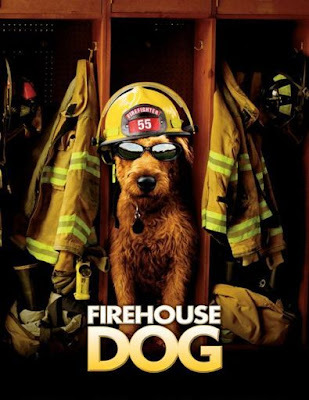 He looks like a toy, I want to pet the Firehouse Dog! Now, the first "he" was meant for me. Apparently I was too toy-ish for him to pet! He thought STINKY was the real Firehouse Dog... GEEEEZUS! 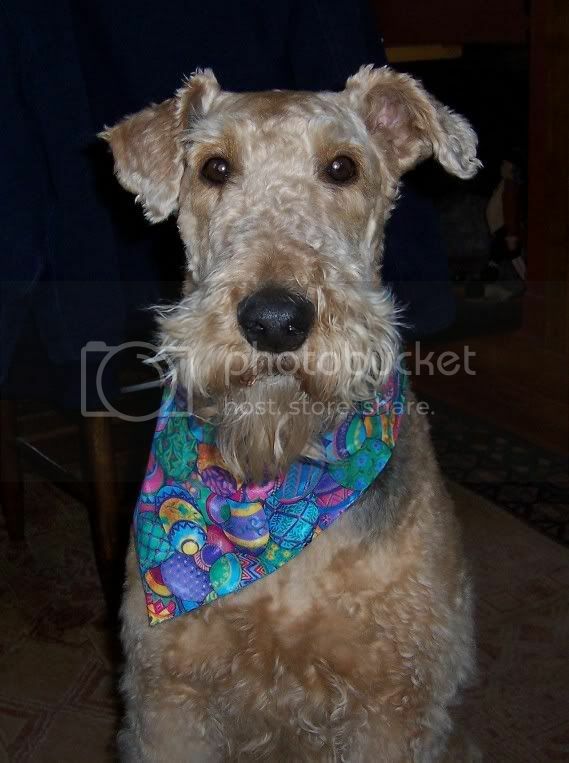 (mum: I think because Jaffa has a very wiry coat, he looked more like the Irish Terrier in Firehouse Dog. 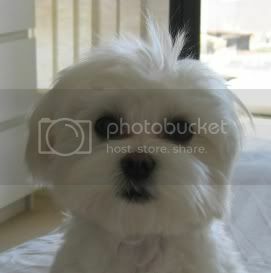 Sunshade is my fluffy, sheep coated girl!!) What's worse is that he did end up petting ME because STINKY slobbered all over him when he tried to pet him. Anyway, we came to a fountain and took a break there to have a drink. Even tho it was overcasting, our dense coat (wiry or sheep coated!!) made us very hot. Mum brought water for us, cause she said we couldn't drink the yucky fountain water! And became the chick magnet amongst tourists!! This was me walking down the see-through ramp at Coal Harbour. STINKY was afraid, but when he saw me walking down, he followed me. I'm the brave one you know, always so brave!! Before going home, I did some zen-ing to recharge my Aire-ZEN!! You both look so festive in your red and white bandanas! Mom was waiting for Canada's national anthem to play but nope! 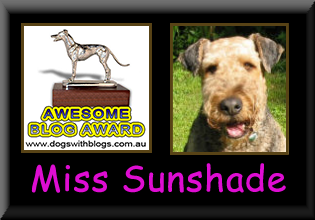 Love that picture of you and your mom Sunshade! Sounds like a pretty good Canada day to me! You guys look great, all patriotic and accessorized! Your mama knows how to dress a dale, that's for sure. time the pictures are very cool. to the land up there HAPPY BIRTHDAY. Hey something is going on! The last time I checked, I lived in Cahada too but I didn't get to go to any cool celebrations like you and Jaffa did. Time to have a long chat with Mom. She's obviously depriving me of fun!! We love the picture of you and the tourists! Were they Japanese?? I'm sure they thought you were very very kawaii! !